There's a reason this one is first on the list. Not only can imagining what it would be like to be unable to attend to things you once took for granted help you deliver better care, it can also help you avoid burnout through the ups and downs of daily work. A caregiver's work is uniquely purposeful, and the ability to put yourself in a patient's shoes is a critical part of staying connected with that purpose. No one said being a home health care worker was easy. In fact, it can sometimes be frustrating, stressful and extremely slow-moving. Aging brains and bodies may no longer function as well as they used to. Unfortunately, caregivers who hurry things along or take over a task completely may end up contributing to the loss of independency. By letting patients do things for themselves as much as possible, meanwhile, you facilitate their ability to care for themselves to the best of their abilities. 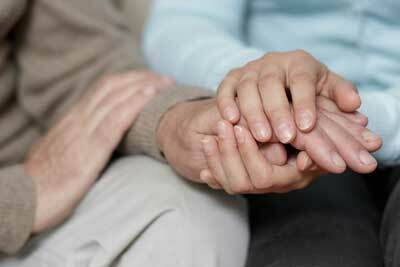 Home health caregivers don't just support the people for whom they directly care, they also support family members. If you function best with a set-in-stone checklist of daily tasks which can be accomplished according to a firm timeline, a home health care job may not be a good fit. Why not? Because things can change at any given moment. The ability to adapt on the fly, accept these changes, and pitch in when and where you're needed most can help you become a vital part of the caregiving team. From understanding and meeting the needs of the patients themselves to relaying imperative information to family members, fellow caregivers, and other members of the health care team, the importance of clear, accurate and open communication cannot be overstated. Why? Because not only does it ensure that everyone has access to the knowledge they need, it also helps build trust -- an invaluable component in any caregiver/care recipient relationship. Caregiving may often feel profoundly personal due to its intimate nature, but maintaining professional appearance and decorum is paramount. Attention to detail, high levels of accuracy, tact, and confidentiality are all parts of being a professional caregiver. Also essential? Reliability. Patients and their families depend on home health care providers to honor their commitments and carry out their job responsibilities. 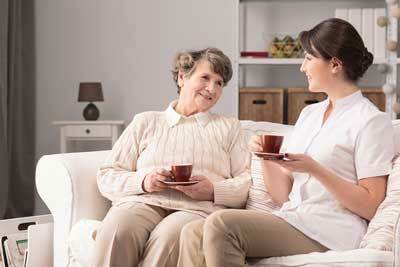 Home health care workers provide an invaluable service to patients and their families. In return, they also stand to gain plenty in the form of unparalleled personal and professional fulfillment. Think you've got what it takes to start making a difference in the lives of others while also improving your own? Contact us today to find out more about joining the First Choice team.